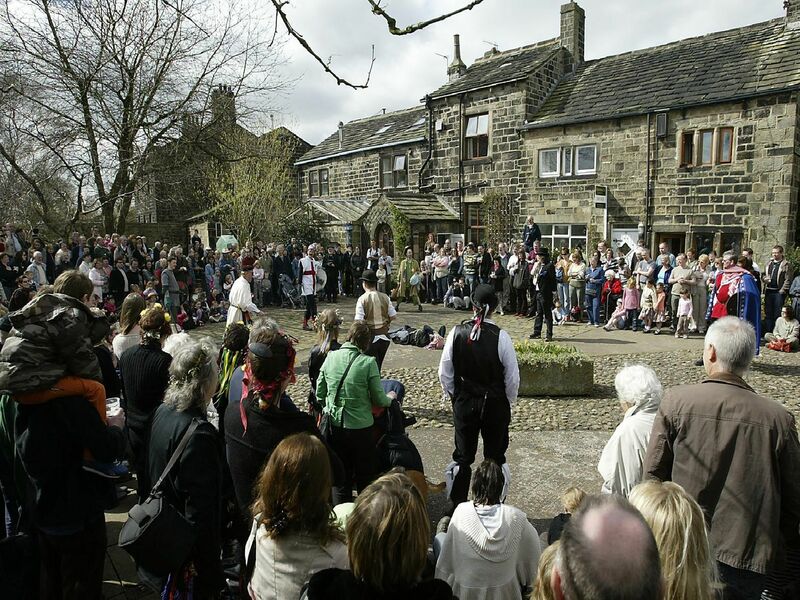 The Heptonstall Pace Egg Play traditionally takes place in Weavers’ Square throughout the day and tells the story of the battle between a whole host of colourful characters. There is also the Midgley Pace Egg Play which, in the past, has been performed by students from Calder High School, Mytholmroyd. These are some of the best pictures from Pace Egg Plays of the past - can you spot anyone you know? The Heptonstall Players perform the Pace Egg Pla in Weavers Square, Heptonstall, with Ray Riches as St George. Calder High School student perform the traditional Pace Egg Play in St George's Square, Hebden Bridge. Calder High School students perform the traditional Pace Egg Play in St George's Square, Hebden Bridge. Dean Gash as Toss Pot at the Pace Egg Play in Heptonstall.